The Soho Martini has a light orange and vanilla flavor, but if that makes you think “Dreamsicles,” stop. This is not a candy drink. It’s not even very sweet. It’s a real, grown-up drink, not a “candy ‘tini.” And it delivers a gentle relaxing buzz instead of ice cream pains. The Soho Martini is great for sipping along on an evening out, but it’s also a nice martini to come home to after a rough day. 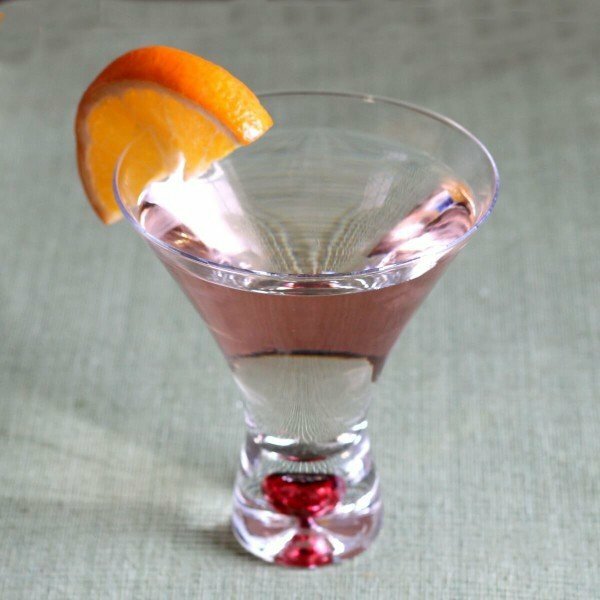 And yes, we could debate all day about whether it’s appropriate to call this cocktail a “martini” or not (I’m still on the fence about whether a vodka martini counts as the real thing). It’s certainly not all that similar to the classic dry martini, which is nothing more than gin or vodka and a touch of vermouth and garnish. But whatever you call it, this is a strong, all-alcohol drink despite the mildly sweet flavor. It’s the kind of drink that works for both people who like their cocktails dry and strong, and those who prefer them sweeter. You can also make up a pitcher for parties and keep the fun rolling. If you enjoy this sort of “sweet yet strong” drink, try the Gin Aloha, with its gin, Cointreau, and hints of pineapple and bitters. If you’re wanting to pair this drink with a meal, try this Citrus Marinated Flank Steak from Baked In The South. The combination of chili powder, cilantro and orange and lime juices make a nice contrast for the orange and vanilla in this drink. And the smoky flavor from the grilling gives it all more depth. Shake ingredients in a cocktail shaker filled with ice. Strain the mixture into a chilled cocktail glass. Garnish with an orange slice.